Hi, everyone! It's Broni and I'm your hostess today! 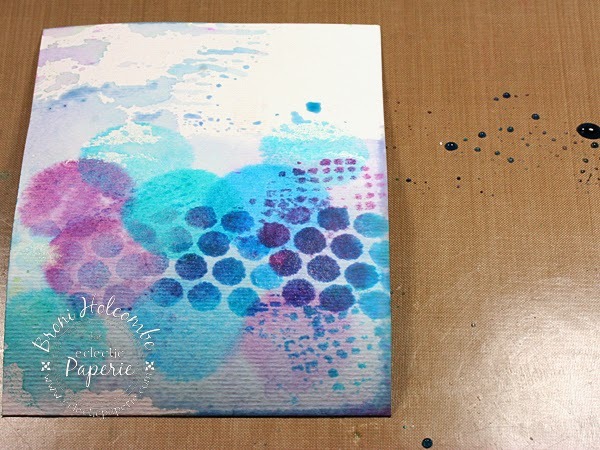 I wanted to share with you a water-colored Happy Birthday card that I made. 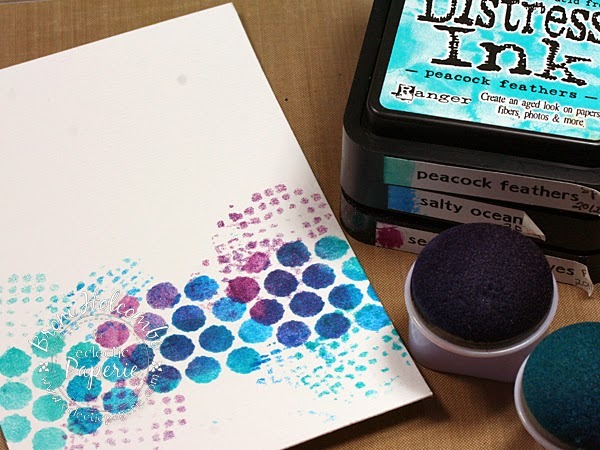 It seems that water-coloring has become quite the rage lately. That makes me happy since I've been in love with the look for a very long time! 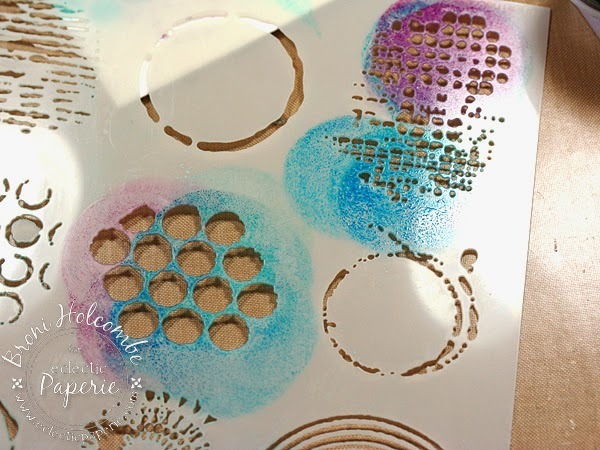 I started by stenciling my water-color paper using the Well Rounded stencil, some large sponge daubers, and some Distress ink in Peacock Feathers, Salty Ocean, and Seedless Preserves. 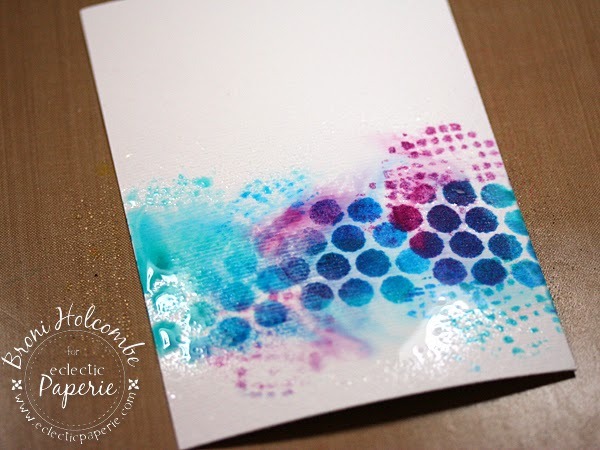 Next I used my mini-mister of water to generously spray the inked paper. You can see how wet the paper is. 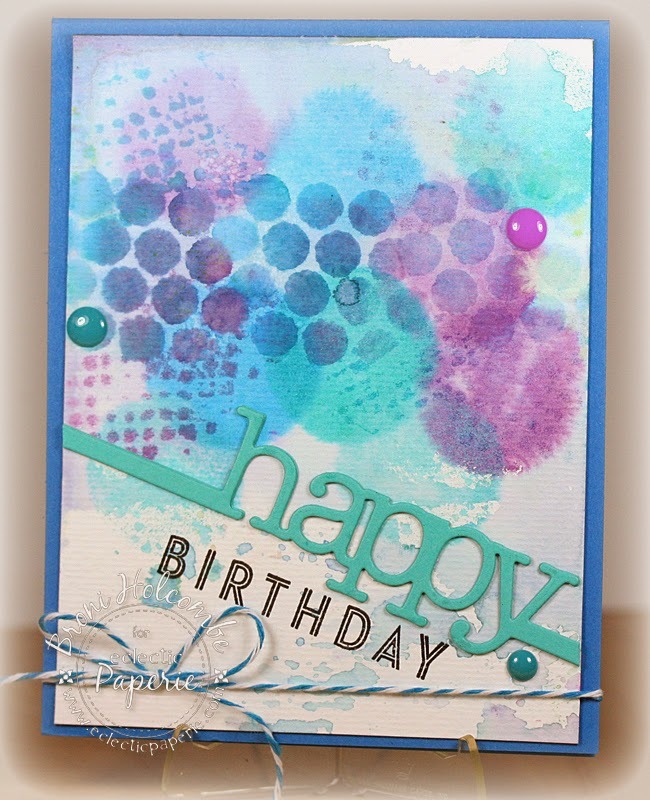 I ended up flipping it so that the stenciled pattern was at the top, because I didn't want to hide all the inky goodness when I attached the "happy" and stamped the "birthday". 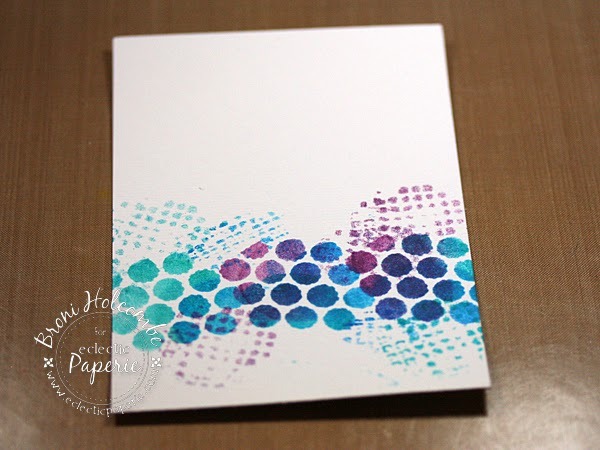 I finished off the card by adding some enamel dots and by tying some Ocean twine around the card front. That's it for me today. Don't forget you've got all month (until March 26) to play along in our ePlay - Push Your Boundaries challenge to alter a book. How fun! Thanks for stopping in to have a look! This is absolutely BEAUTIFUL, Broni! LOVE the colors and the watercolor effects! THX for showing your process, too!